We’re well into May — do you know where your desk is? If you haven’t caught the spring cleaning bug, you aren’t alone. 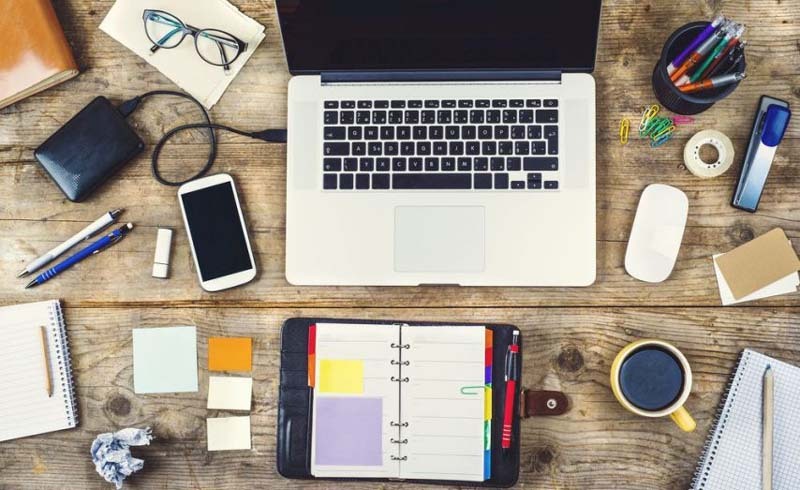 Whereas most small-business owners find it easy to be creative, they often lack the organizational skills (or desire) to streamline their offices. It’s common for entrepreneurs to need a little support. To motivate yourself and your employees, roll up your sleeves and read these five tips from Barbara Hemphill, founder of Productive Environment Institute and author of Kiplinger’s Taming the Paper Tiger series. Organization is a means to getting where you want to go, says Hemphill. So, you need to be clear about what you’re trying to accomplish. To identify your goals, answer the following questions: What will you be able to do that you can’t do now by getting organized? What will you have? How will you feel? Who is responsible for filing it? Who needs access to it? How can we find it? Most people dread dealing with clutter. Why? It’s often a sign of postponed decisions. Instead of wasting time wondering whether any particular digital files, paperwork, or receipts should be tossed, simplify the situation by getting rid of items that don’t fall under “can’t live without it” category. Devote a day to getting organized. Businesses that succeed at organizing make time for it. Set aside an entire workday that starts with all employees receiving training on what items can be eliminated or recycled. Scheduling this time to organize will give you and your employees the necessary energy, motivation, and incentive to complete the task, says Hemphill. If the prospect of going through months of piled up clutter seems like a burden, consider hiring someone to help you get the job done. Organizational experts offer in-person organizational services or, like Hemphill, assist clients virtually.